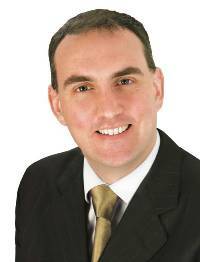 Fianna Fáil Senator Marc Mac Sharry says hundreds of families across the North West are facing cuts of up to €80 euro a week because of changes to the One Parent Family Payment. The age threshold for the entitlement is being reduced again in July, resulting in cuts payments for single parent families. Senator Mac Sharry commented, “These regressive cuts will impact some of the more vulnerable families in the country. Hundreds of families in the North West will see substantial cuts to their payments in July because of the sneaky measures brought in by Minister Joan Burton in Budget 2012. Since then the Government has been lowering the age threshold for entitlement, ensuring that year on year more families receive reduced payments, or see their payments cut altogether. In some instances the age threshold is being slashed from 16 to 7 this July, resulting in thousands of families losing their entitlements. “Nationally, more than 40,000 families will be affected by these underhand changes. Many single parents are already extremely stretched because of high childcare costs and these payments could be the difference between them staying at work or being forced to leave their jobs to stay at home and look after their children. In fact, these cuts are at odds with the Government’s own claim that it wants to see more people in employment, as they could force parents out of the workplace. “Over the past four years parents have been subject to a raft of cuts under this Government. Minister Burton has presided over cuts to child benefit and the Back to School Clothing and Footwear Allowance, as well as taxing maternity benefit. Now One Parent Families are being targeted by the Government. These sneaky changes, which will see some families lose up to €80 a week, will penalise working parents, and goes against promises made by Labour not to cut welfare benefits”. Previous PostTwo, including garda, released in Sligo drugs-related investigation.Next PostICSA REITERATES CALL FOR TRANSPARENCY IN THE RETAIL FOOD CHAIN.